This is the rarest of the La Gloria Medaille series and the shortest cigar of the family. The Panetela size has lost its following in recent years, but the traditionalists still seek this type of cigar. More direct that its brothers, the No.4 will feel slightly edgier with a more intense finish. 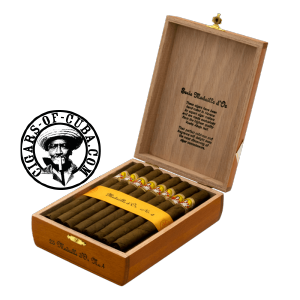 A spring smoke, mild and very gentle, ideal for a aficionado of aromatic cigars. Interesting build up in power in this little Panetela, even though the flavor remains in essence Gloria. A must have in any collectors humidor.